By 1652 Nicolas was probably in New France, where he was engaged in trade. 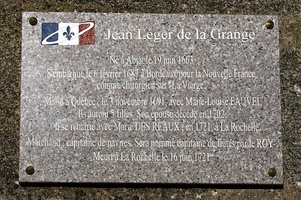 In 1665 he was churchwarden of Notre-Dame de Québec. He returned to France before 1668, and on 18 March 1669, in Paris, he signed his marriage contract with Jeanne Gaudais; their first child was baptized on 19 Dec. 1669 at Quebec. Two sons and three daughters were born of this marriage; no male descendants survived, since the elder son died soon after birth and the younger was drowned at the age of 11. Nicolas Dupont has often been confused with Louis Gaudais-Dupont*, but has finally been distinguished from him. Louis XIV ennobled Dupont by letters patent on 30 April 1669. On the following 13 January he was admitted to the Conseil Souverain and received his life appointment from the king on 26 April 1675. 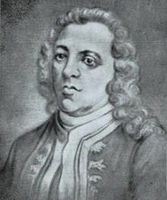 He was appointed councillor and keeper of the seals on 1 June 1703. On 20 Dec. 1670 Nicolas Dupont had bought from Zacharie Cloutier* the arriere-fief of La Clouterie (or La Cloutièrerie) in the Beauport seigneury. 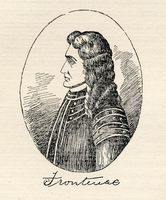 He made it over as a dowry to his daughter Françoise-Thérèse on 10 May 1687, on the occasion of her marriage to François-Marie Renaud* d’Avène de Desmeloizes. He also acquired the seigneury which has borne the names of Dombourg, Pointe-aux-Trembles, and Neuville, and which adjoins the Maur seigneury on the west. It was bought from Jean-François Bourdon* de Dombourg on 12 Nov. 1680 and enlarged on 27 April 1683 by a land grant from Le Febvre* de La Barre and de Meulles. This domain also passed to the family of Renaud d’Avène de Desmeloizes after the grandfather’s death. Dupont was the senior member of the Conseil Supérieur, when he passed away at the age of 84. His wife had died before him, on 16 Sept. 1707. One of their daughters, Marie-Madeleine, married Paul Le Moyne de Maricourt on 29 Oct. 1691 at Quebec. Jug. et délib. P.-G. Roy, Inv. concessions, I, 40ff. ; II, 22ff. DCB, I, 114, 2325 325, 572. Lucien Campeau, “DUPONT DE NEUVILLE, NICOLAS,” in Dictionary of Canadian Biography, vol. 2, University of Toronto/Université Laval, 2003–, accessed April 21, 2019, http://www.biographi.ca/en/bio/dupont_de_neuville_nicolas_2E.html.